Visa’s first battery-less dual interface biometric payment card (chip- and contactless-enabled) in the Middle East was launched yesterday (April 15) at Seamless Middle East, a major e-commerce event, in Dubai, UAE. The card was launched by digital security world leader Gemalto and biometric technology company Zwipe in partnership with areeba, a financial and payment technology company in the Middle East and Africa, with the support of Unilux Cards. The pilot aims to test the use of fingerprint recognition as a more convenient and secure alternative to PIN or signature to authenticate the cardholder during a transaction. 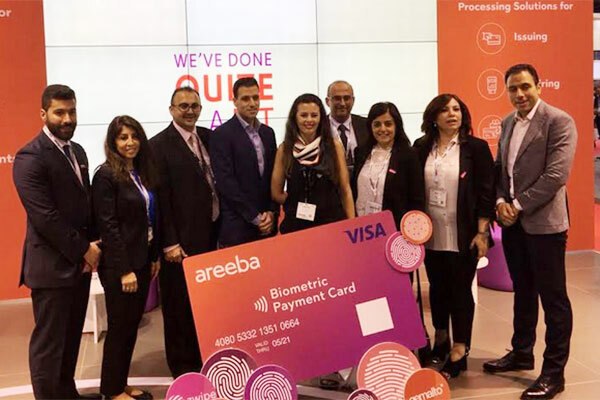 Maher Mikati, CEO of areeba, said:“areeba is committed to investing in new capabilities that deliver better & more secure payment solutions; using fingerprint technology to authenticate a person for payments will provide cardholders a faster, easier and more secure payment process compared to the traditional use of PINs.